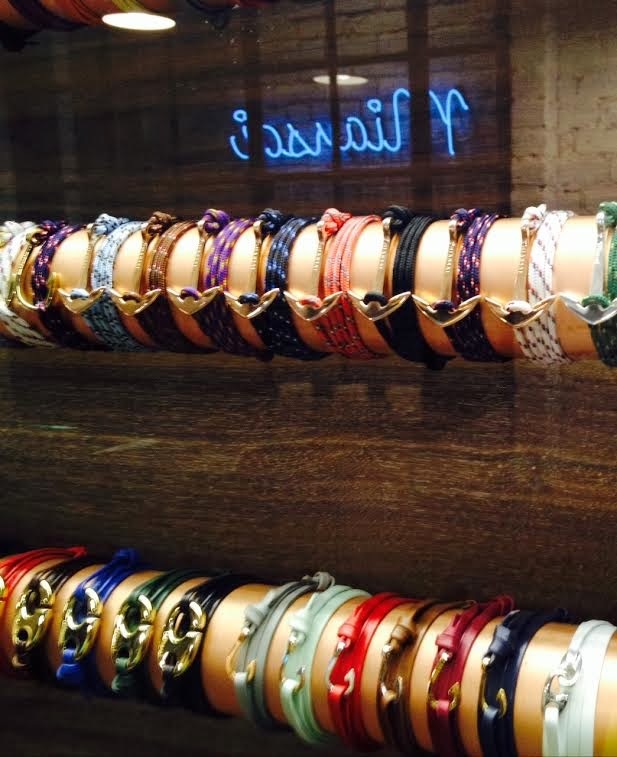 Miansai is a handmade accessories shop known for their nautical rope and hook bracelets. A fashionable friend mentioned they recently opened a shop in SoHo that includes a tea bar up front featuring a large selection from Tea Chai Té. 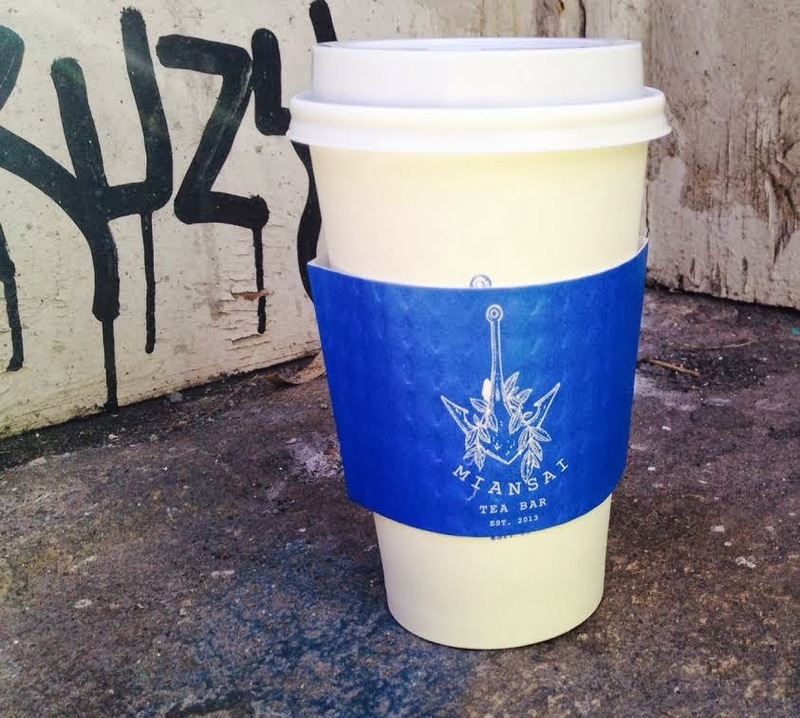 I was unfamiliar with Tea Chai Té, which is a family run company based in Portland. The menu at the Miansai tea bar is quite varied with black, green, and puer blends, along with herbals, yerba mate, and rooibos as well. 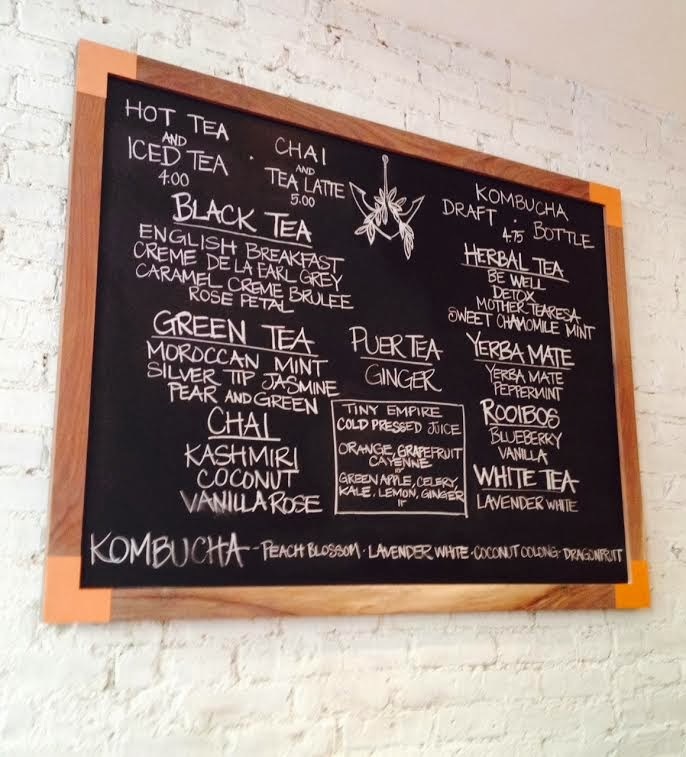 They also have kombucha on tap or bottle, which also comes from Tea Chai Té. 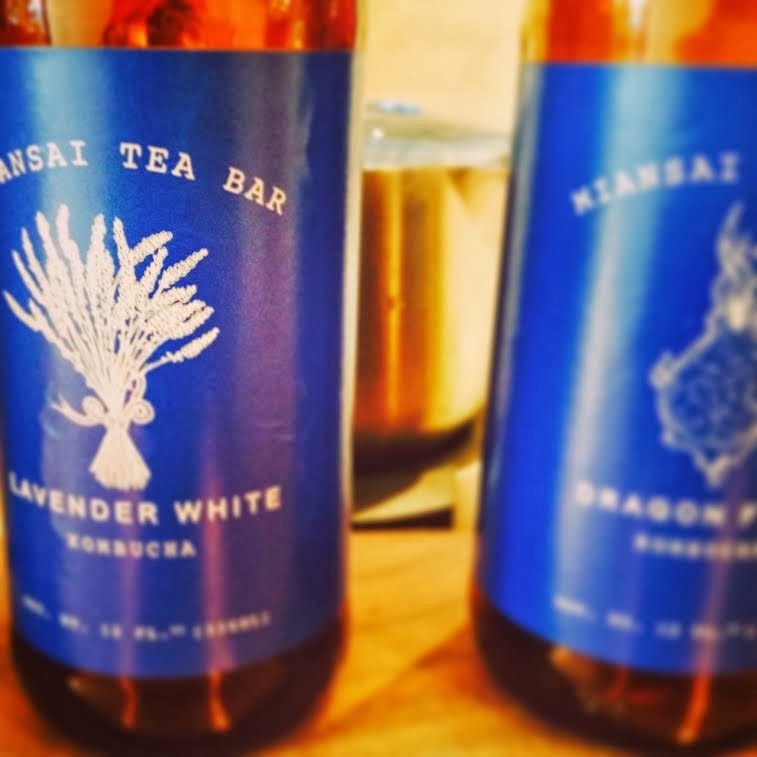 I tried the lavender white tea kombucha which was very delicate compared to most kombuchas I've tried. On a sunny warm day I would definitely have gone for a cup. But considering we are still experiencing arctic weather, I decided on something a bit warmer. The tea bar is in the front of the light and airy store, so you can't miss it. 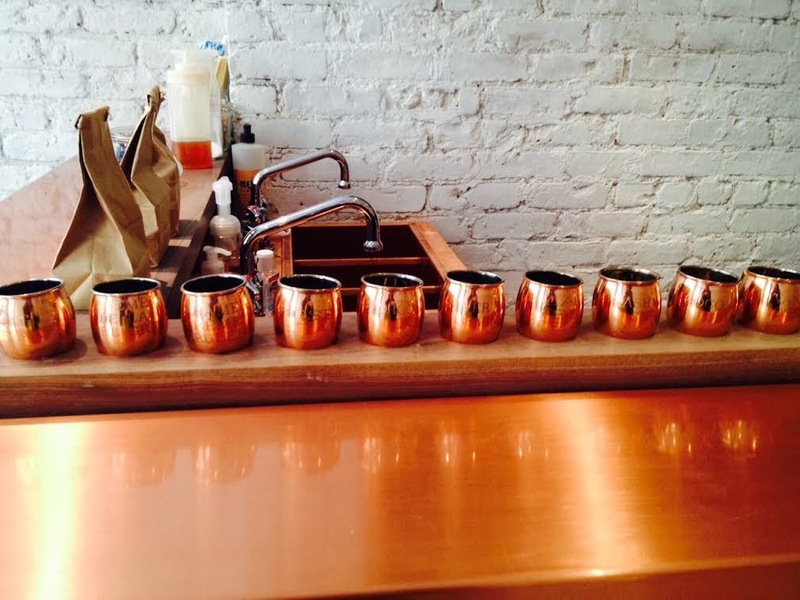 There are miniature copper mugs holding each tea for you to smell, before choosing your brew. You can also sample the kombucha. I chose the ginger puer, since the spice would be very warming on this chilly day. A large cup of tea is $4.00 before tax, which seemed reasonable given the quality. While my tea was brewing I took a look around the store which is filled with tempting hand-crafted accessories. As much as I'd love to take home a hook bracelet, my wallet steered me back to the tea bar just in time for my cup to be ready. There is a small bench if you decide to sit and sip, and the store does have a relaxing atmosphere. But you are in the middle of SoHo so I'd recommend window shopping as you enjoy your tea. The ginger puerh has the satisfying earthy, mushroomy flavor that reminds me of old polished dark wood. It has an aged, but sturdy feeling. To me it also smells like an old Chinese herb shop that has secrets to reveal. The ginger tingles and compliments the musty puer flavor. Definitely a nice cup. There are many options for tea in the area, the most popular being Harney & Sons less than a block away. But if you're looking for a quick cup in a stylish atmosphere definitely give the Miansai Tea Bar a chance. The ginger pu-erh sounds delis h. Thank you for sharing.